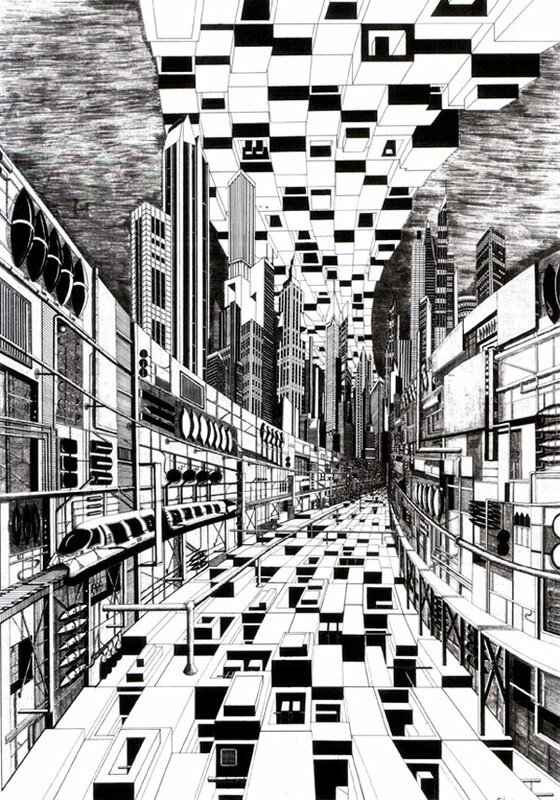 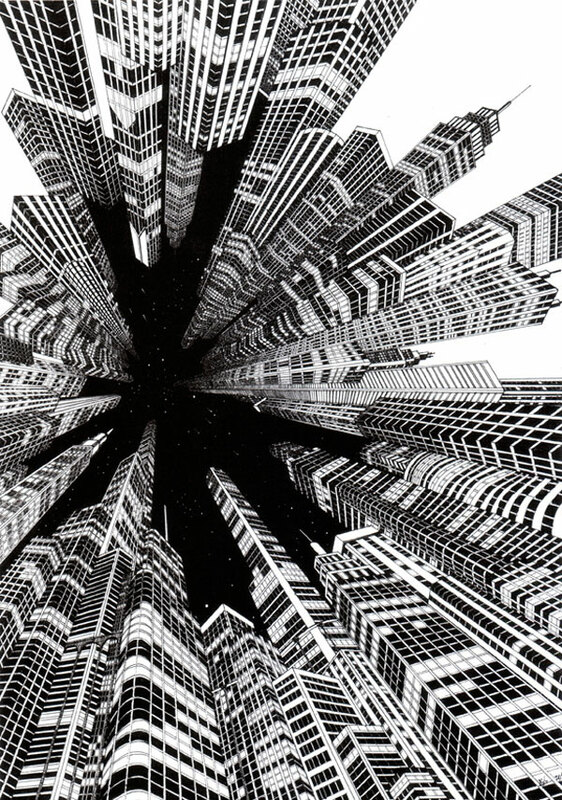 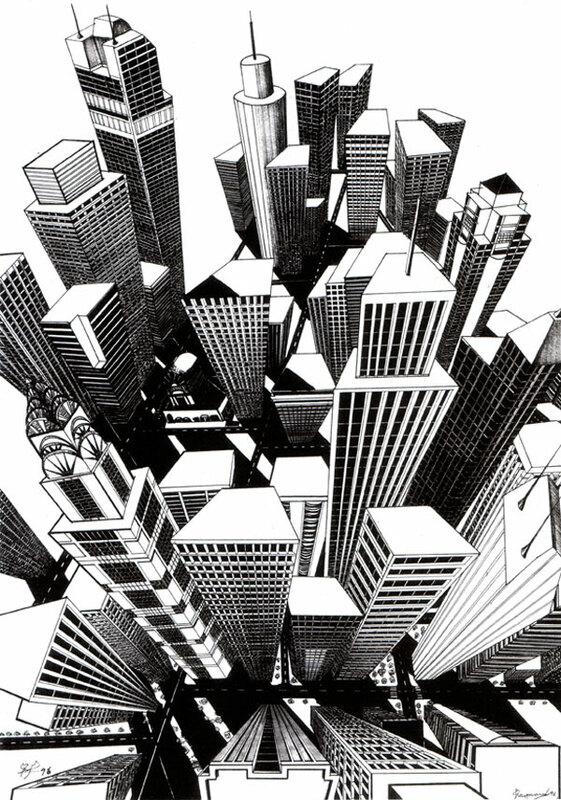 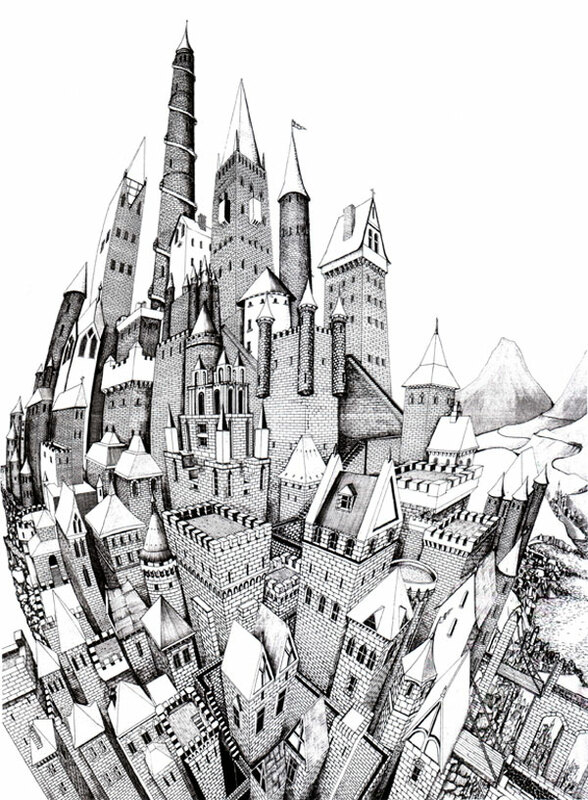 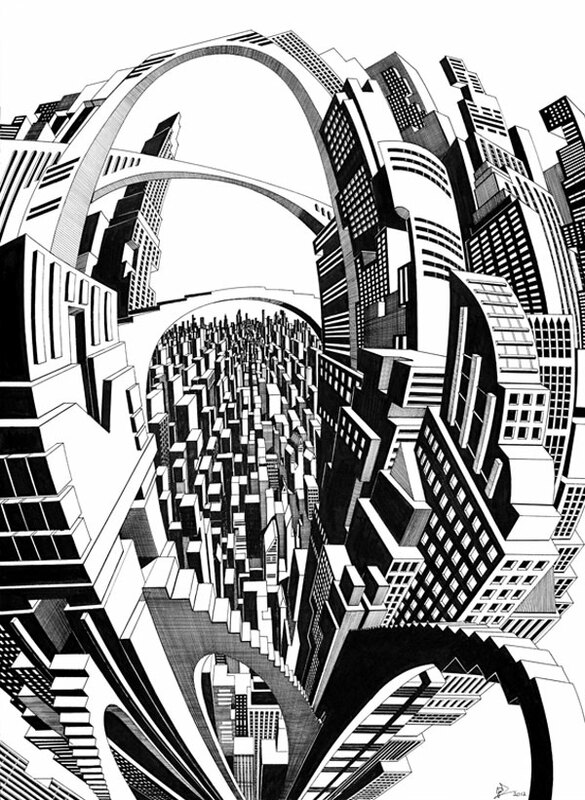 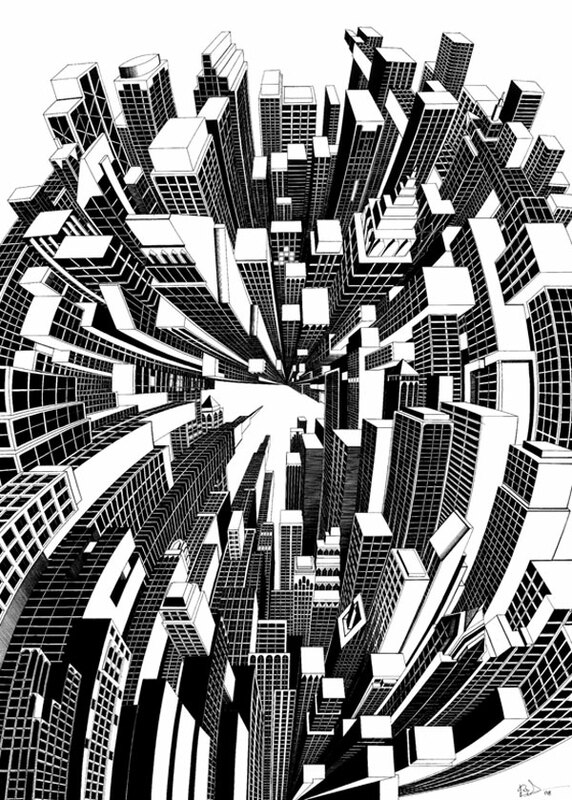 Hand-drawn ink drawings of cityscapes exploring impossible perspectives. 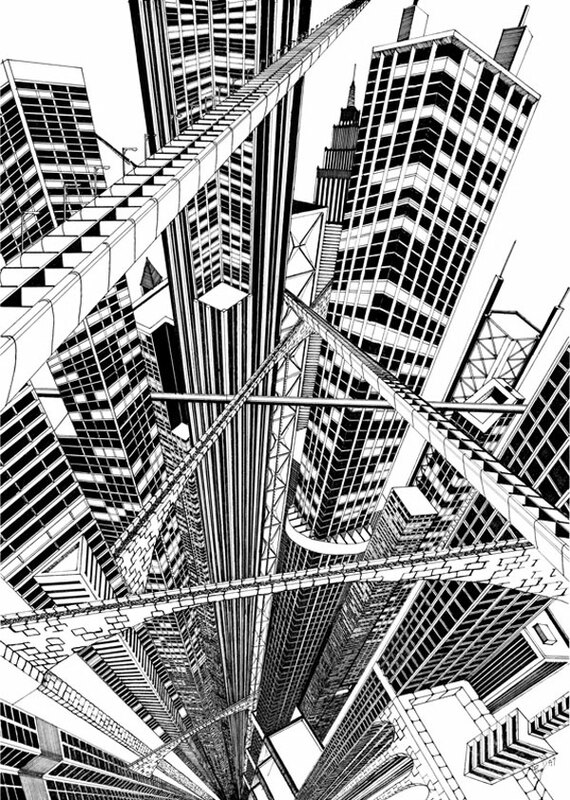 I have been developing my style of illustration since I left high school and am always striving to discover new and inventive ways of exploring perspective through architecture. 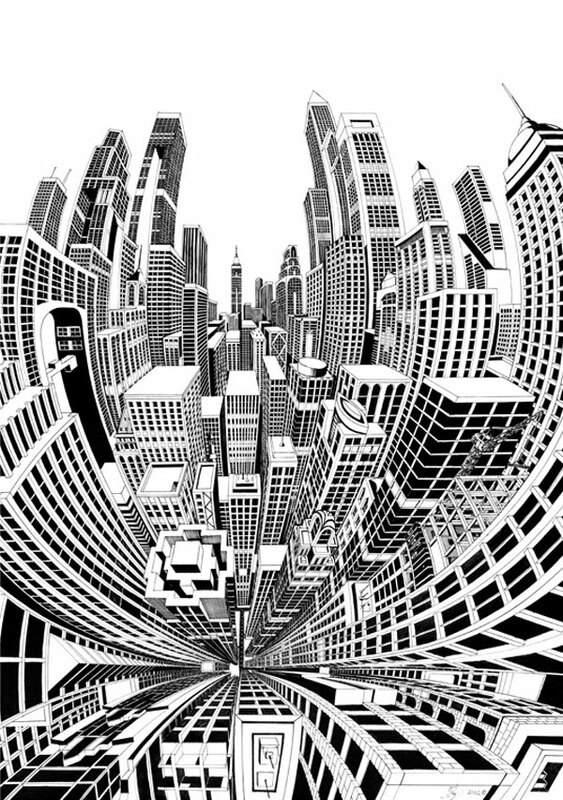 I like to incorporate elements of past and modern design into creating impossible perspectives that invite interaction with the viewer.